Should two men be able to veto transit for 4 million people? That’s what Oakland County Exec Brooks Patterson and Macomb County Exec Mark Hackel are trying to do. They say that voters in their counties don’t want expanded regional transit, that SMART provides everything they need, and that the RTA should no longer even exist. So they refuse to let the region’s residents vote on region-wide transit. Do they represent you? Do you think SMART provides all the transit we need, now and in the future? Or do you think the people should be able to decide whether to invest in expanded transit? Speak Out! Tell them to Let the People Vote! 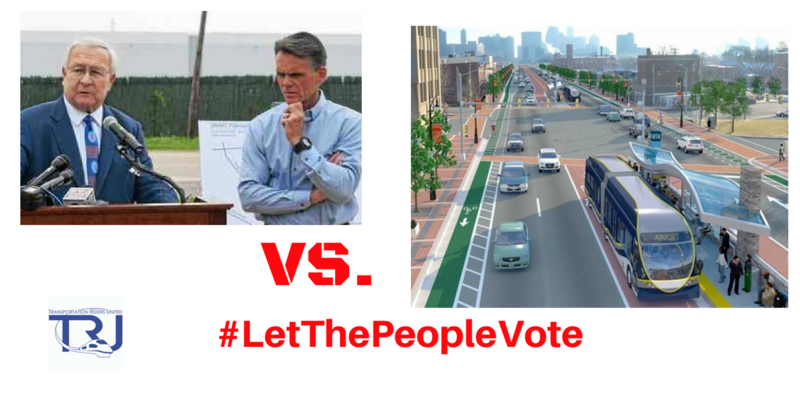 Oakland and Macomb County representatives to the Regional Transit Authority – the guys who actually vote! The RTA Board members are the actual decision-makers, but are taking direction from the County Executives. Both the Oakland County Commission and the RTA Board will be voting in the next few weeks whether regional leaders should let the people vote on the improved RTA plan. The Commission can show that Patterson doesn’t fully represent Oakland County when he says the county doesn’t want transit. ← Urgent Strategy for Great Transit!